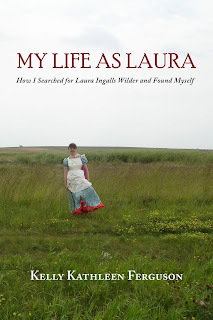 Kelly Kathleen Ferguson’s book, My Life as Laura, was published two months ago by Press 53. 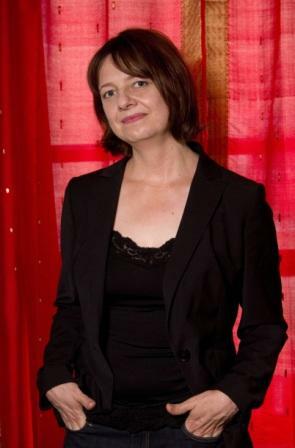 Shortly thereafter, Ferguson posted an essay on the Hunger Mountain blog about her experience with promoting the book: Being My Own Book Publicist. The essay is one of the most complete I’ve seen on the subject of marketing, and well worth the read. Except it doesn’t work out that way. CG: Kelly, your Hunger Mountain blog post was written in October. Your book has now been out for nearly two months. Have you learned any more about book marketing since then? KKF: That it’s freaking exhausting? I think of Little House in the Big Woods where Laura and Mary would play with an inflated pig’s bladder, batting it back and forth so it wouldn’t touch the ground. My “internet presence” (quotes because it is so tenuous) requires constant maintenance. I blink and whatever momentum I’ve managed to gather goes splat. I’m continuing to learn you can’t plan too far ahead for book reviews and readings. I thought I’d be out on the road promoting before Christmas and I’m still putting events together. I give myself a break in that with Press 53 I had no access to advance copies, so that limited what I could set up ahead of time. 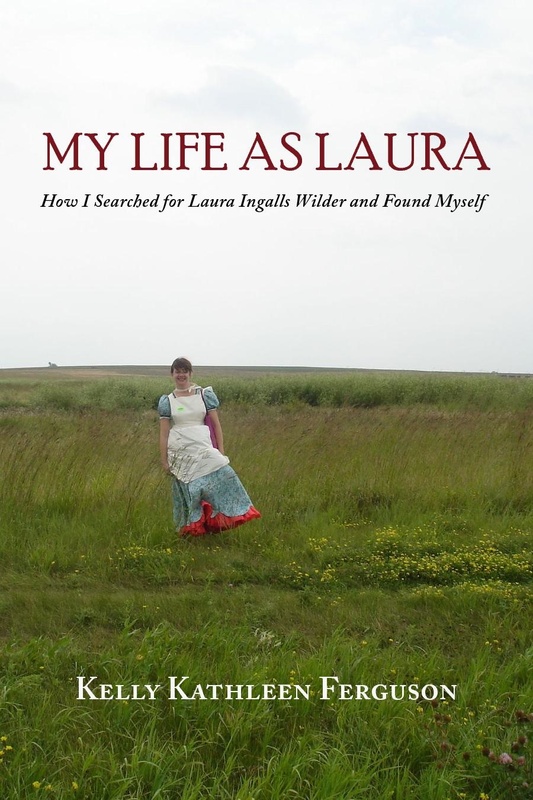 One tactic I’ve added is to backtrack the press trails of authors working similar markets (Laura Ingalls Wilder books, for example). I Google to see where they are being reviewed and follow suit. Kakutani of The New York Times has yet to respond, but I have discovered some great blogs (such as this one!) run by people who write back, even if they don’t have time for a review. The online literary community runs deep. One book review blogger just now let me know that while she might not get around to my book for three months, she sent me links to five other websites that might be interested. I’ve also learned to investigate local writers’ groups. A colleague of mine gave me a few contacts and I’ve set up two readings/craft talks. No, I’m not the keynote at Bread Loaf, but I can drive less than an hour, receive a little honorarium (usually $50-$100), and reach an interested audience. CG: Specifically, have you expanded your presence in independent bookstores? How’s that working out? KKF: Um, not so well. I’ve added one since that post. To be clear, it’s not that bookstores are shooting me down (only one has said “no” so far). I haven’t put much effort into asking. That being said, querying independent bookstores remains on my to do list. CG: You mention the Montana Festival of the Book in the blog post. Have you discovered other book festivals? And how does one find out about these things? KKF: Basically, every state and most major cities have a festival, so then it’s a matter of targeting one that might want you to present. No one has yet to contact me, as I’m not enough of a name. I have my MFA from Montana, so I had a personal connection there, but I had to ask. I am going to try and query a few for the future. (Again, remember that readers and presenters for these events are set up months in advance). For example, I’ll try to present at the North Carolina Writers’ Association Conference next year, since Press 53 runs a table every year and I lived in Durham for twenty years. My approach is to Google the festival website, find the email of the coordinator, send a polite email in which I mention any relevant connections, and attach my book cover and press release. It’s worked once so far! CG: Have you connected with book clubs? How did that happen, and what was your experience? Is it something you recommend? KKF: If I could connect with every book club ever I would do it. What’s better than having a group of people discuss your book? I mean, unless they are talking about how they didn’t care for it. So far My Life as Laura has been the topic two book clubs that I know of, both run by friends. I tried to Skype one but that failed so we had to go to speakerphone. Since my friend was there I felt naturally gabby. CG: Have you done joint appearances with other authors? Is that something you recommend? KKF: I’ve run a few readings here at Ohio University that are just as much informal parties as anything else. I picked people who I know are good readers and who I could trust to keep it short. All it takes is one person who overstays his or her stage time and the reading goes south. I’ve also been on a few conference panels with literature scholars who presented their critical work and I read. I wish there were more collaborations like that. Come to think of it, most of my readings have been with at least one other person. The obvious benefit is that friends of all readers will attend. It also eases the pressure. There’s definitely a difference between being placed on a panel, versus organizing the reading yourself. I’ve been trying to put together an off site reading for AWP but three people canceled and I’m about to give up. Joint appearances are just like anything else involving other humans—amazing, frustrating, energizing, enervating, etc. I’m still new at this book promotion gig, but generally speaking I’m a people person, so in answer to the original question, yes, I recommend reading with other authors. CG: What’s the single most important thing you’ve learned about book marketing? >Great interview. Understand the role of promotion. She's right. It becomes a full-time job, especially that constant updating of "internet presence." >Enjoyed the interview – especially the part about letting things go for a minute and splat! I've been working hard since the start of the year for Blood Clay, and have things lined up through August. Yes – you have to ask! No shame! I have three book clubs, one via Skype, and keep on looking for more – also writers' groups. Keep on rollin' Kelly!